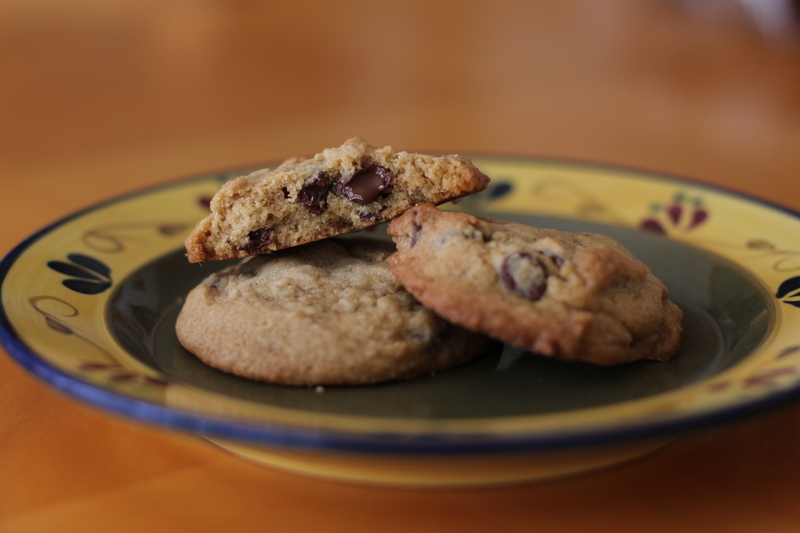 Yesterday I found a recipe for the most amazing chocolate chip cookies I have ever eaten. What’s even better is that the recipe is beautifully simple and basic. It is no surprise that this is the Mrs. Fields recipe for chocolate chip cookies. I’ve never tried one of her recipes that didn’t turn out fabulously. Please, please, please make these! Just thinking about them makes me want to run into the kitchen and bake another batch. Plus, if you make them, you will be able to eat one warm when the chocolate is all nice and gooey. You can even drink a tall glass of milk with them. Need I say more? Posted on July 8, 2013 by rjoy19	• This entry was posted in Chocolate, Cookies and tagged Amazing, Chocolate Chip Cookies, Mrs. Fields, The Best Chocolate Chip Cookies Ever. Bookmark the permalink. Okay, these cookies are AMAZING! I even had to make some changes (whoops, I ran out of all-purpose flour…so let’s see how half cake flour works, for example lol), and they’re still fantastic. Oh, and I did end up using light brown sugar because it’s all had. Still so good! I’m so glad you liked them! I made them again and ran out of dark brown sugar (oops) and had to use part dark brown/part light brown sugar, and they still ended up yummy. Also (sorry for all the comments) what is C&H dark brown sugar? I actually have no clue. I just used regular dark brown sugar. You could probably get away with light brown sugar, too, but it most likely would turn out a little differently since dark brown sugar has that deep, almost molasses-like flavor. You definitely should! Make sure to make them nice and big! I used a tablespoon measuring spoon to scoop the dough and really heaped it high. I found that the bigger cookies were even better than the smaller cookies because they had that nice, soft interior. Maybe I’m blind, but where is the recipe for the Mrs. Fields cookies? You totally made me want to make and eat 3 dozen of them! Haha, you’re not blind! The recipe isn’t actually here, but if you click on “Mrs. Fields”, it will bring you to the website where the recipe was originally posted.